Winner: Congratulations to Mark Bradley (@Syscokid87) from HP for winning the MyXcelsius Facebook Giveaway Contest. 240 fans on Facebook in just 11 days is a phenomenal turnout. This promotion is now closed. Thank you all for your support. Finally we succumbed. Yes, MyXcelsius.Com is on Facebook now. We are going to be honest here. We want as many as possible on our Facebook page and as quickly as possible. We want to get that count up as soon as possibly we can. So, what’s in it for you? Soon after launching our Facebook page, we realized that we can do much more that what we thought with it. Just like the blog here, we can do pretty much whatever we want to and so we went ahead and added our YouTube videos, twitter feed and discussions. Also, we have setup feeds from the most important Xcelsius weblogs and forums. The intention was to create a One stop place for all Xcelsius activity. Seriously, still, what’s in it for me? Alright, if you become (or already are) a fan on our Facebook page, we are giving away an author autographed Xcelsius 2008 Dashboard Best Practices book for the lucky winner on 30 Sept 2010. Now, we know that you all can go and buy the book from Amazon.com for $30, but only a handful of you can get it signed by Loren Abdulezer. So it is Priceless. All you need to do is click on this button and you are on the list. Posted in: Announcement, Blog Update, Promotion. How to create an Analog Clock using Xcelsius? Last week, Greg showed us all about How to create a Digital Clock using Xcelsius. After looking at the XLF that Greg posted, what stuck me was how a simple NOW() function can turn a Label Component into a fully functioning Digital clock. It was like food for thought for me and I thought why not an Analog Clock using the same logic. So I decided to take a step forward and add a few more formulas and extend the functionality of a Digital Clock to an Analog version. I know, going from Digital to Analog is not really a step forward, but It’s a worthy effort to show the power of Xcelsius. Here is how I achieved it. Posted in: Examples, Interesting, Tricks, Xcelsius 2008. 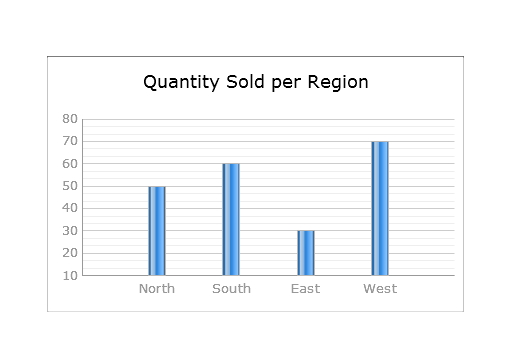 Here’s some Xcelsius 101 on changing the look of a chart so that things don’t look so plain. Great for people who just need a reference 🙂 I’ve written some step by step instructions on changing a chart from it’s default look to something more attractive. 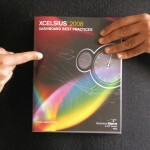 Posted in: Examples, Training, Xcelsius 2008, Xcelsius 4.5.